DAS Design - The right approach! Obtaining a floor plan will ensure the right number of antennas needed to effectively distribute the signal throughout your area is properly accounted for. At JDTECK, we rate our repeaters by the overall volume of area you need to cover. This will determine the output or transmit power needed to effectively cover this size area with good reception. Your input signal is a variable, which will influence the output power of your system. Therefore by the use of high-gain directional donor antennas and pre-amplifiers, we can augment the inputs going into the repeater to ensure the output is as stable as possible for all the carriers you would like supported. After this is established, we then need to determine how we will effectively and efficiently to distribute that RF power. Think of your building as a large field that needs irrigation. The water (source signal) is supplied to your property by the service provider. The cellular repeater is the "pump" needed to provide the needed pressure to distribute the water throughout your field (building). To do so however, we need to design a good sprinkler system (Distributed Antenna System) that will evenly distribute the water and at a pressure that will provide the needed irrigation but, at the same time, will not damage the landscape. 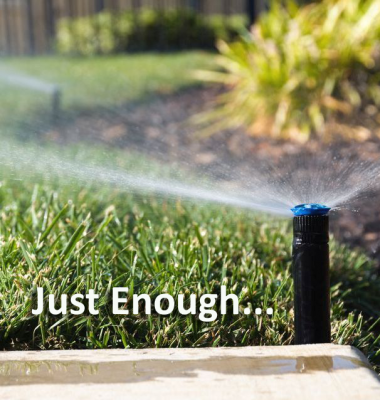 In order to accomplish this, you need all your sprinkler heads (Indoor antennas) in the right places and they all need to be putting out the right amount of pressure (signal strength) and spray pattern (various styles of antennas) for the desired area of coverage. So, the sprinkler head (service antenna) nearest to the main feed (cellular repeater) needs to have just the right amount of pressure, as does the sprinkler head furthest away from the pump. This is where a well-designed distributed antenna grid or system which calculates the entire flow path (link budget) comes into place. It is for this reason that you will not see our system designs with an under budgeted amount of service antennas with the hopes of just blasting a signal throughout the building using a high powered repeater (pump). That's like taking a fire hose to water your plants. It will certainly not be an energy-efficient way of getting the job done, besides it will affect the throughput speeds as well as increase the noise floor of the local network beyond necessity. Like sprinkler heads, antennas are a nominal cost to the overall system and since the power has already been accounted for by the appropriate repeater selected for the size area you need to cover, it would therefore be prudent to get the most out of your system by deploying just the right number of antennas to ensure even power distribution across the space. By the use of directional couplers and by properly understanding the port / power distribution of these components, JDTECK has perfected the art of where to deploy these and the appropriate values to use. This results in a highly efficient DAS has very good throughput, no passive inter-modulation (PIM) and actually runs cooler which significantly extends the life of your DAS.